The latest issue of Edge magazine has a fun little article abbot South Korea’s obsession with StarCraft. One of the issues the article brings up is: what happens to the game when Blizzard releases StarCraft II next month? Nobody knows! (My guess is that StarCraft will be around forever, no matter how many sequels Blizzard develops.) Along the same lines, kinda, Blizzard plans to give free copies of StarCraft II to Korean gamers who have an active World of Warcraft account. The Edge article says that Korean StarCraft players are treated like rock stars. There’s no stigma with being a “professional gamer” like I think there is here in the U.S. Well, maybe “stigma” is a bit harsh, but try telling someone you’re a professional gamer and they’ll be like, “Oh, so you’re a professional bum?” Scoff, huff, etc. 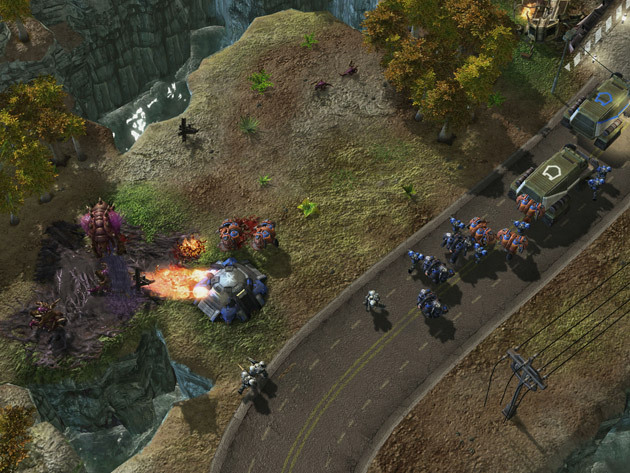 Don’t expect the free StarCraft II deal to be available outside of Korea.